I was flabbergasted to read The Post’s editorial. 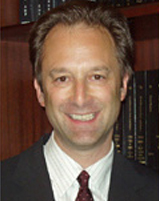 New York personal injury attorney Michael Barasch recently had a letter published in the New York Post criticizing The Post’s editorial article “Ground Zero dust-up.” The original article critiqued Congress’ agenda to extend the Zadroga Health and Compensation Act, which provides financial relief to those suffering from illnesses related to exposure to Ground Zero after the 9/11 terrorist attacks. Barasch, who represented James Zadroga, the NYPD officer after whom the Act was named, called the article “misleading” and “scurrilous.” Zadroga passed away from a respiratory illness after being a first responder on 9/11. Published by the Post Editorial Board on September 13, 2014, the “Ground Zero dust-up” clip pushed back on the very concept behind the Zadroga Act, claiming it was based on unscientific assumptions regarding the link between Ground Zero exposure and illnesses contracted by those who lived and worked near the site of the 9/11 attacks. But Attorney Barasch asserts that the Medical Examiner report actually concluded that Zadroga’s lungs were filled with unidentified foreign materials that are consistent with dust. “I was flabbergasted to read The Post’s editorial…The Post ignored the real reason he was prescribed those painkillers,” said Barasch. Barasch McGarry Salzman & Penson, PC fights tirelessly for injured firefighters and victims of accidents or medical negligence to get the compensation they deserve. As a prominent New York firm concentrating in the areas of personal injury, wrongful death, medical malpractice and firefighter rights, the firm serves all five boroughs and Westchester, Long Island, Rockland, Putnam and Orange counties. For more information about the firm or World Trade Center illnesses, visit http://www.post911attorneys.com or http://www.wtc-illness.com, or call 877.WTC.0911.